We are passionate about the best of Italian food, wine and culture! Everything we do here is inspired by Italy from the authentic Italian food to the easy going atmosphere, warm service and fresh design. 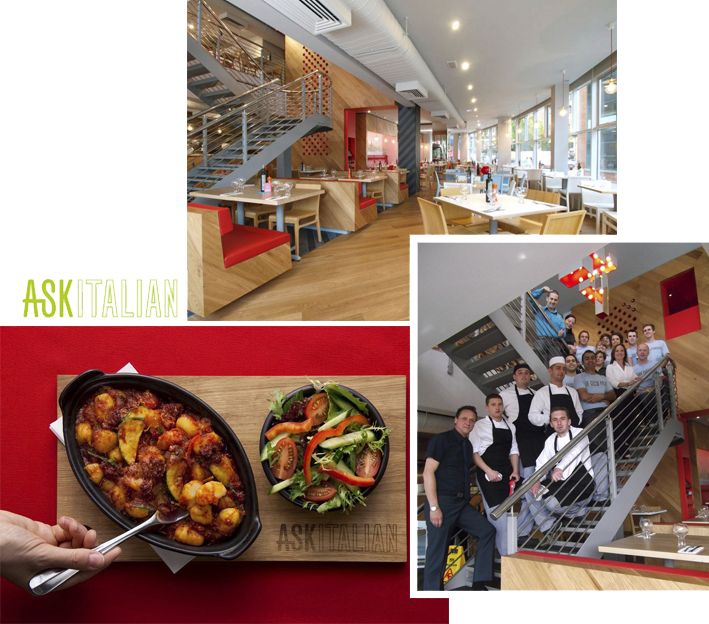 Ask offers mouth watering Italian cuisine in stylish and modern surroundings. The menu is packed full of authentic pasta and pizza dishes all of which are cooked freshly to order using only the finest traditional produce. Our passion for finding the best ingredients led us to the olive-growing esposito brothers from Plugia. Their Olive oil is so good we think it makes the perfect gift. Situated in the heart of Liverpool City Centre, Queen Square.